Boca Beauty Academy is a nationally accredited beauty and wellness school located in sunny South Florida. Prized for its nationally ranked programs and state-of-the-art campuses, Boca Beauty Academy provides its students with the training and experience they need to be successful in the beauty, spa and wellness industries. The academy and wellness school offers a large selection of programs, and students can earn a Diploma in Electrolysis, Cosmetology, Skincare, Paramedical Esthetician, Massage and Spa Therapy, Makeup and Skincare, Nail Technology, Makeup Artistry, Permanent Makeup, Instructor Training, Full Specialist, Microdermabrasion, Barbering, Master Fitness Coach, and Personal Fitness Trainer. Students can take courses at two beautiful, upscale campuses in South Florida. The Palm Beach County Campus is located in Baca Raton, known as the “Beverly Hills of the Southeast”, and is in close proximity to the beach and the well-known Town Center Mall. The Broward Campus is situated in the Coral Springs/Parkland area, also near the beach and convenient amenities. Boca Beauty Academy attracts students from all over the state, country and even the world. Students can enjoy flexible scheduling, as the school offers daytime, evening and weekend classes that are available on a full-time or part-time basis. Boca Beauty’s quality education and gorgeous campuses have led it to earn an unsurpassed reputation, and it has remained a prestigious beauty and wellness school for three decades. Every year, Boca Beauty’s graduates are recruited from the industry’s leading spas, salons, cruise ships, resorts and medical practices in the U.S. and abroad, which is indicative of the top-quality education and training students receive at Boca Beauty. Students who wish to attend Boca Beauty Academy may qualify for financial aid. The school provides financial assistance to students who qualify, as well as Veterans Educational Benefits. It is also authorized to provide international students with I-20s for student visas. 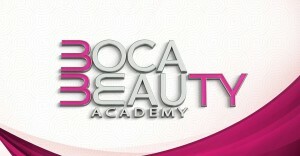 To apply or learn more about Boca Beauty Academy, visit www.bocabeautyacademy.edu. Next Next post: Earn Your Beauty & Wellness Degree at Boca Beauty Academy!